1947. Stars often had a lot of time to kill between takes. 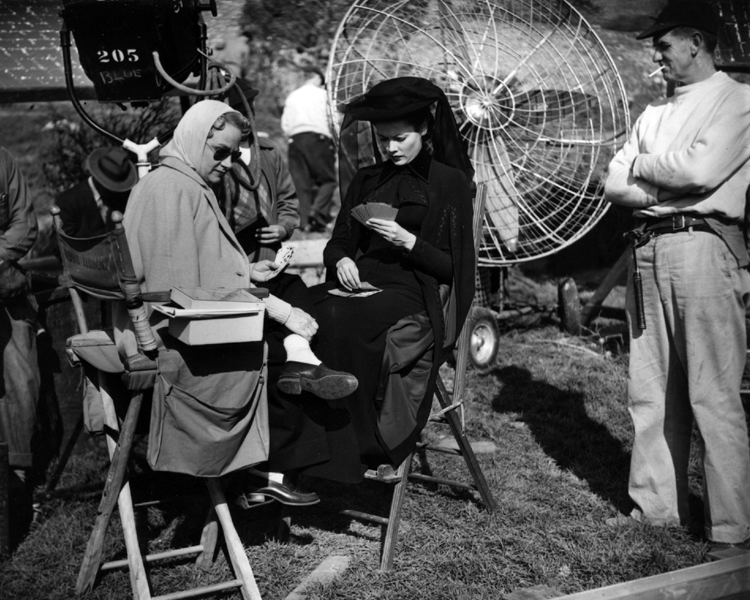 Here Gene Tierney, in the costume she wears as the widowed Mrs. Edwin Muir, plays cards with wardrobe girl Josephine Brown on the set of The Ghost and Mrs Muir.